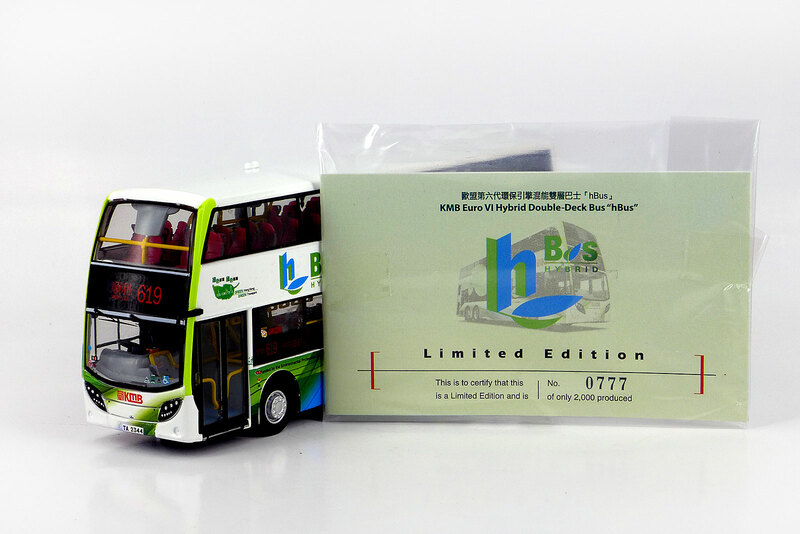 The model - this model was released in Hong Kong on Saturday 7th November 2015. and is the second release featuring one of KMB's three hybrid Enviro500s, the first, featuring ATH2 being issued in May 2015 (KLE15017). 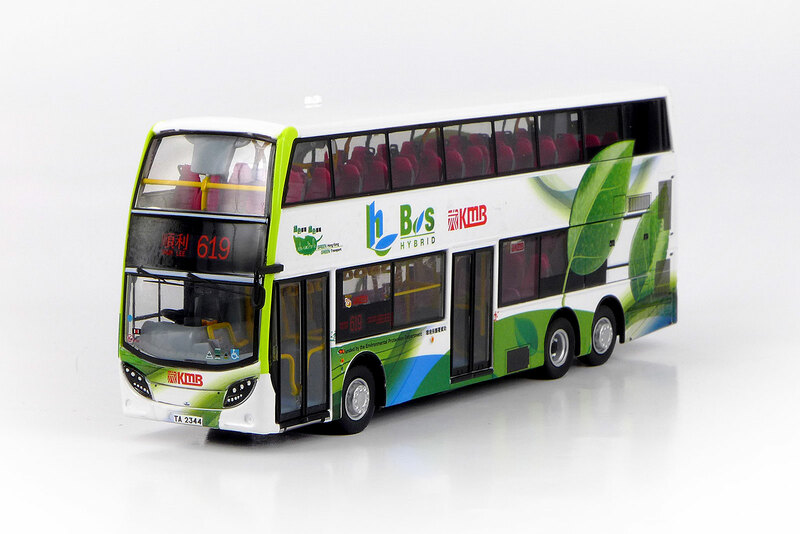 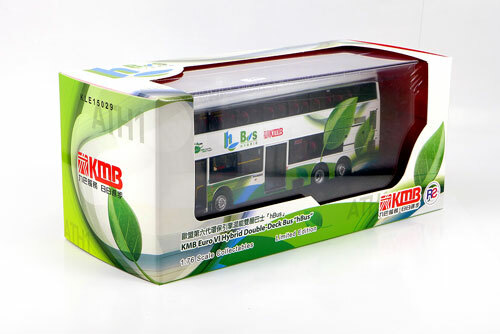 The bus - On 1st September 2014, Kowloon Motor Bus issued a press release introducing its first 6th generation environmentally friendly hybrid bus, described by the company as the 'hBus'. 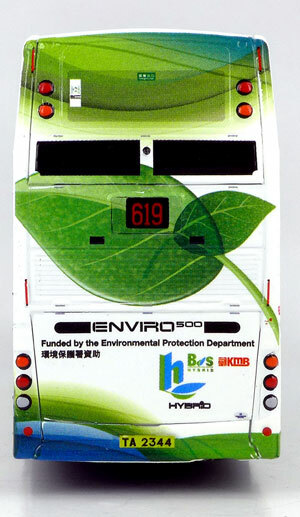 The bus arrived in Hong Kong a few days later, on 5th September, and was officially unveiled to to public in an event held on 13th September. It was registered on 29th October 2014 and allocated the fleet no. 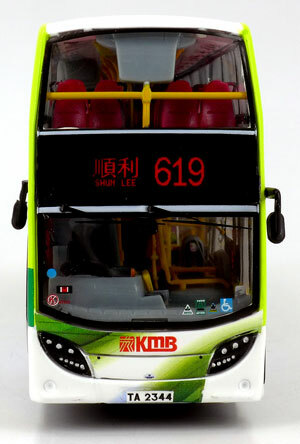 ATH1. 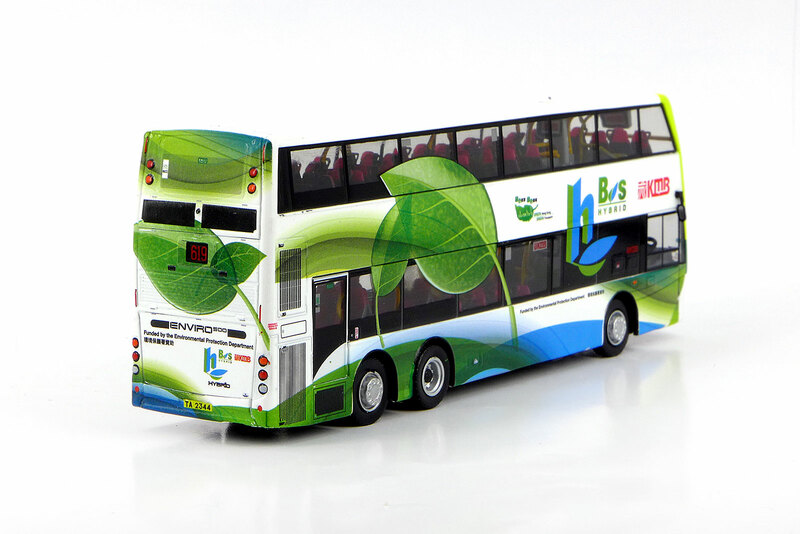 Two days later, on 31st October, ATH2 was registered and ATH3 followed on 2 December 2014.